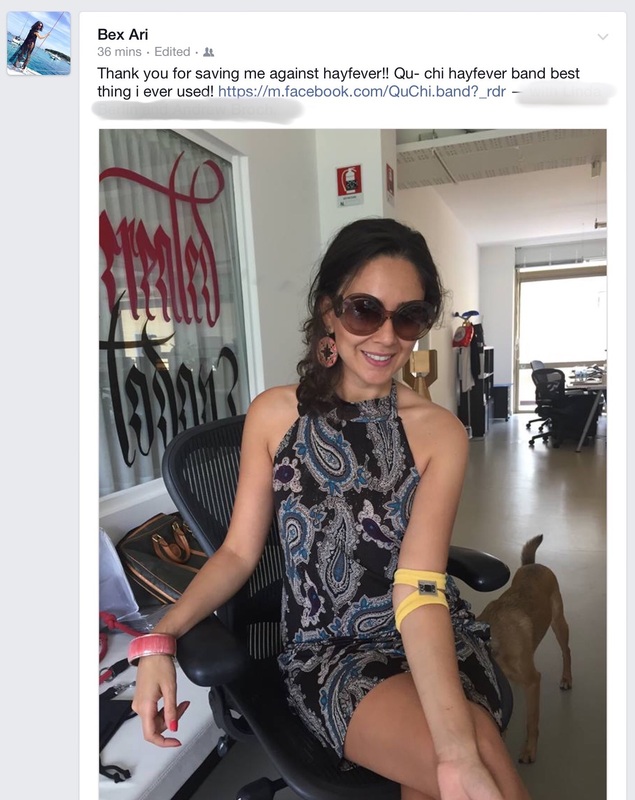 Thanks for your emails, testimonials and photos of your QU-CHI Acupressure band! We have been helping people fight the symptoms of #Hayfever for 8 years now and really appreciate all your wonderful comments! With the Original hayfever acupressure band you can now enjoy your Summer the natural way! No more Runny noses, itchy eyes or headaches. Our little miracle bands provide Drug free fast acting relief from hay fever 24 hours a day.